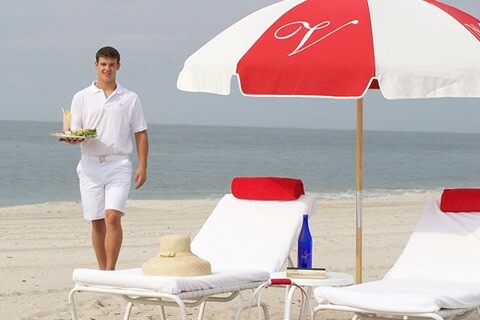 The Virginia Hotel sets the standard for luxury hotels in Cape May, New Jersey. 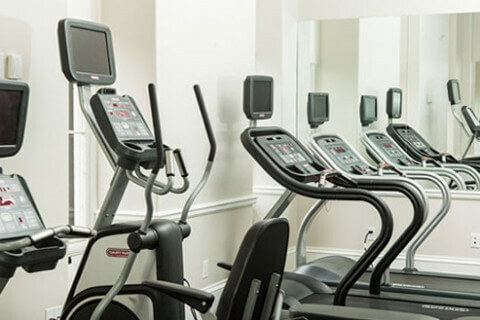 An impeccably restored 1879 landmark building, history combines with modern day amenities and superior service to provide guests with a unique hotel experience. 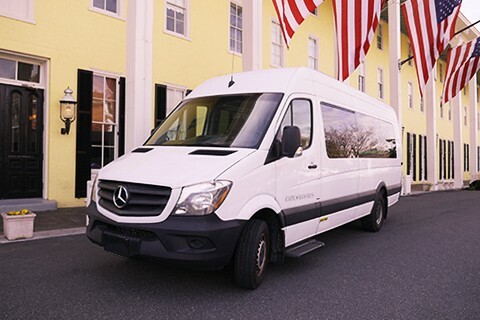 Nestled on a tree-lined street in the heart of historic Cape May and just a half a block from the beach, The Virginia is ideally located offering vacationers a haven of beautiful design, unrivaled comfort and friendly, attentive service. 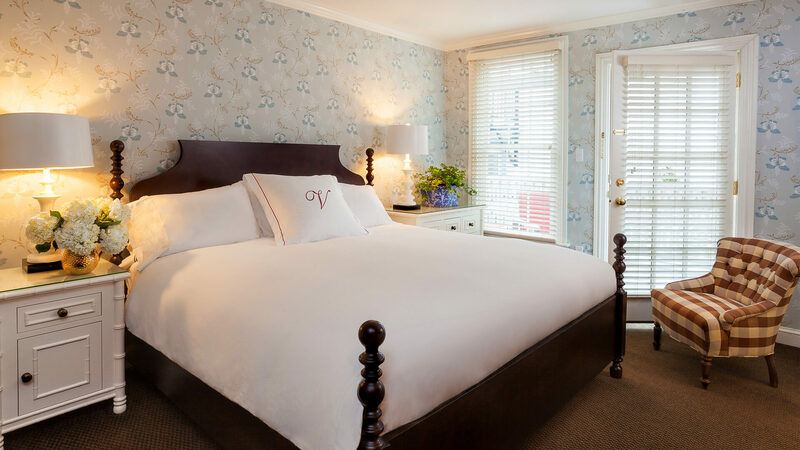 With just 24 guest rooms, The Virginia provides a truly intimate environment that perfectly balances modern and classic, providing a contemporary interpretation of seaside sophistication that never fails to delight. Virtually every guest room is unique, possessing its own distinct charm, but all feature comfortable furnishings and sumptuous fabrics and finishes. 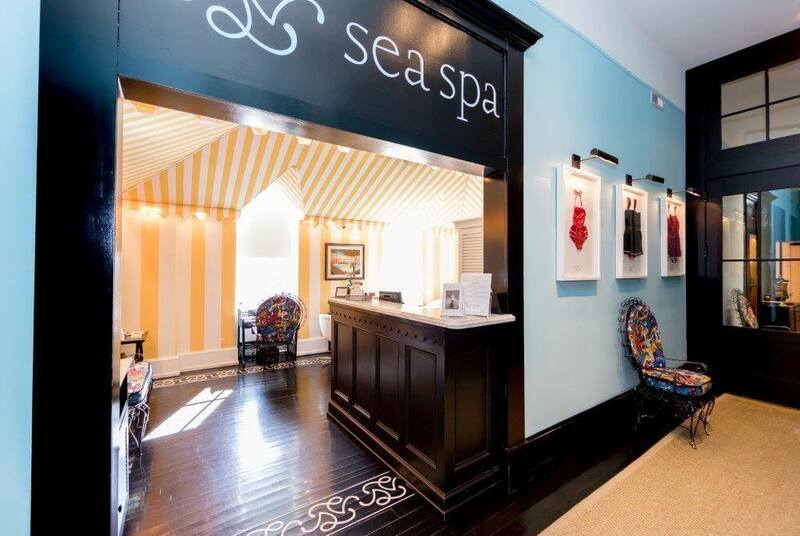 The sophisticated ambiance makes it difficult to believe all this is just steps away from the New Jersey shore. 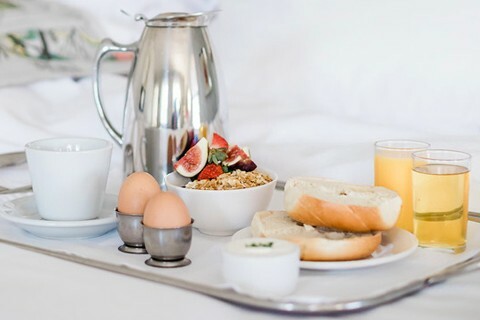 Guests also receive complimentary continental breakfast each morning of their stay. 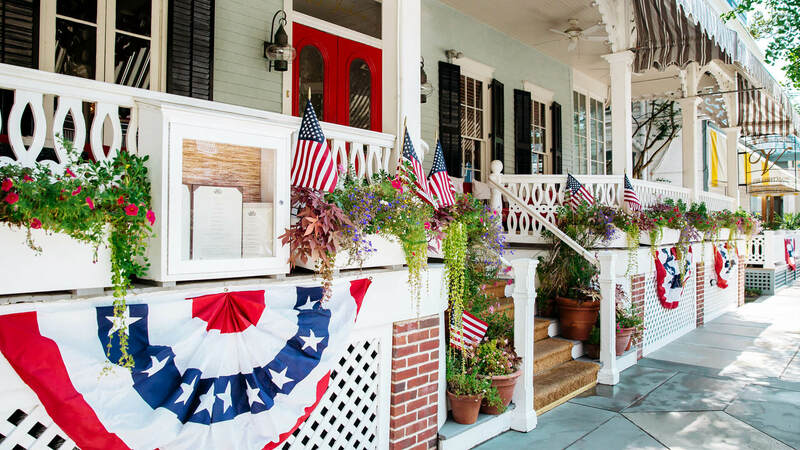 There’s nothing better after a day of relaxing in one of our private beach tents than a cool drink on the Front Porch followed by a memorable meal in The Ebbitt Room, Cape May’s undisputed destination for upscale dining. 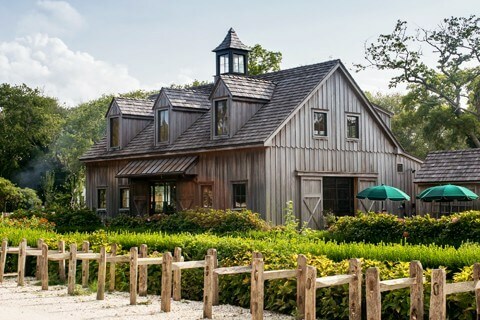 Our guests are always delighted by the innovative cuisine that features fresh ingredients grown at our very own 62-acre Beach Plum farm just a few miles way. 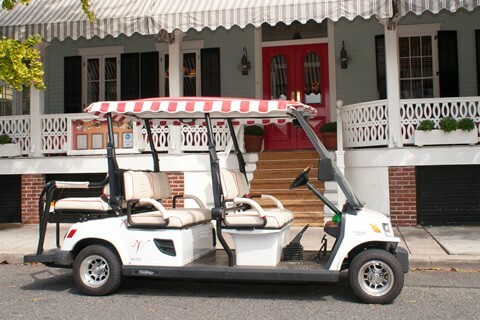 The Virginia Hotel is now proud to offer complimentary electric car charging for our guests. In an effort to support environmentally sound and sustainable lifestyle practices, our parking lot now features two Tesla charging stations for the proud owners of Tesla electric vehicles. As a guest, you are welcome to charge your car overnight. 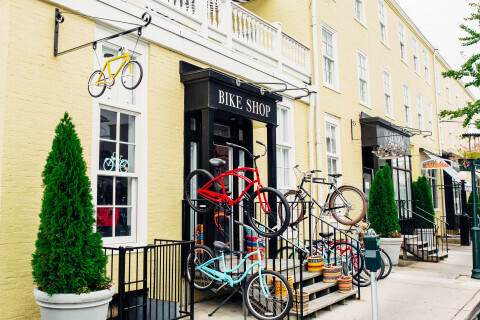 In the morning, you will be ready to go for up to 265 miles of adventure in Cape May! 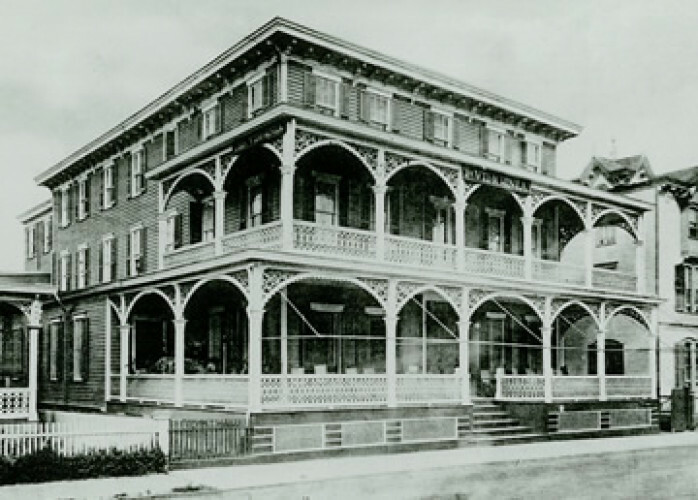 Like many Cape May hotels The Virginia was built following the catastrophic fire of 1878, which devastated the town and destroyed many of its historic buildings including our sister hotel Congress Hall. 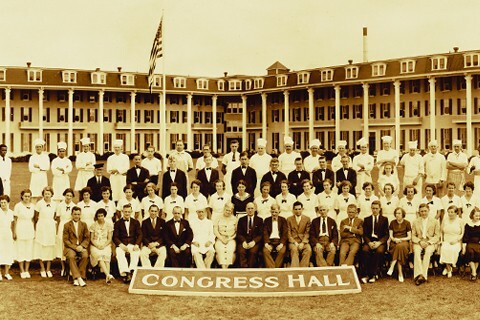 Originally named The Ebbitt House after its first owners, Alfred and Ellen Ebbitt, the hotel was renamed “The Virginia Hotel” during its heyday in the early 1890s when it was a popular destination for visitors from Washington, D.C and Philadelphia. 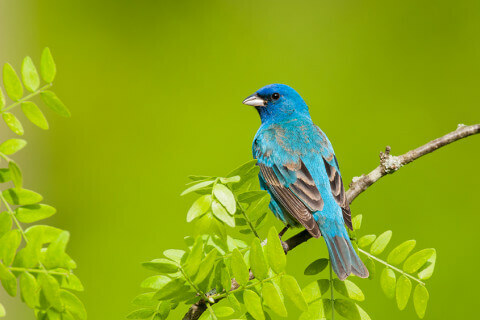 It was frequently mentioned in the society pages of The Philadelphia Inquirer since many of the city’s fashionable set would decamp to the shore during the torrid summer season. 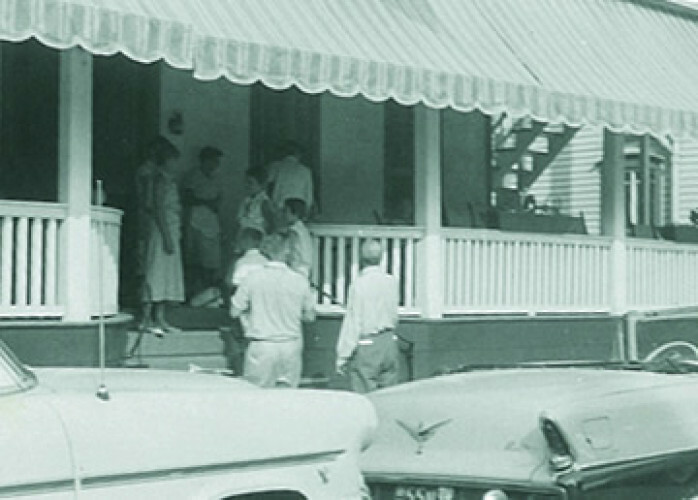 When Cape May began to decline as a resort destination during the twentieth century, the fortunes of The Virginia also suffered and the once upscale hotel eventually became a rooming house before being entirely condemned in the 1980s. 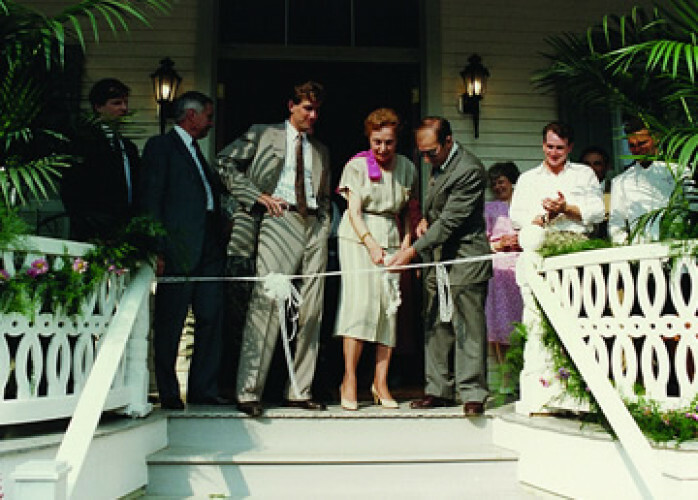 The derelict hotel was purchased by Curtis Bashaw and his family in 1986 and after an extensive renovation was reopened in 1989. 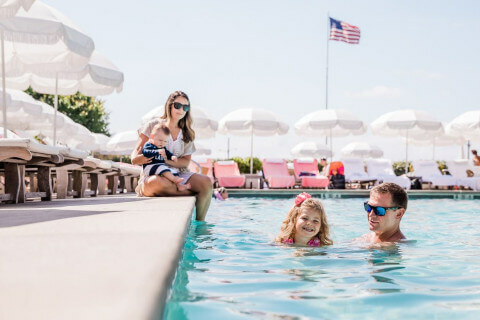 The Virginia Hotel has been named one of the top hotels in the Northeast US by Conde Nast Traveler for seven consecutive years, most recently earning the #10 spot on their Reader’s Choice Awards Best Hotels in the Mid-Atlantic/New York in 2018. 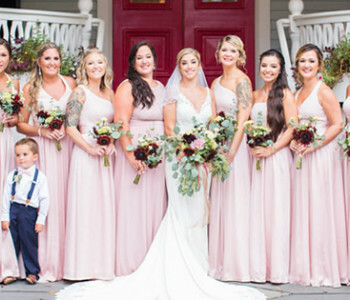 The Virginia Hotel was also named to the Conde Nast Gold List in both 2013 & 2014, and is an annual recipient of the Trip Advisor Award of Excellence. With just 24 guest rooms, the Virginia provides a truly intimate environment that perfectly balances modern and classic, creating a contemporary interpretation of seaside sophistication that never fails to delight. Virtually every guest room is unique, possessing its own distinct charm, but all feature comfortable furnishings and sumptuous fabrics and finishes. 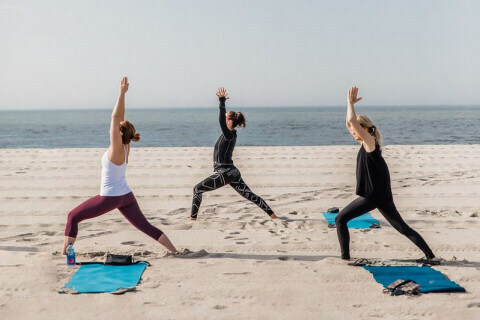 The sophisticated ambiance makes it difficult to believe all this is just steps away from the New Jersey shore. The Ebbitt Room is the proud Winner of the 2018 OpenTable Diners’ Choice Award and Wine Spectator's 2018 Award of Excellence. 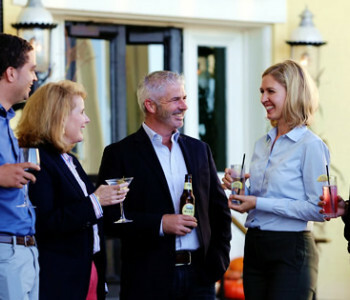 Located inside The Virginia, in the heart of historic Cape May, New Jersey, the Ebbitt Room is an elegant restaurant offering diners a variety of comfortable settings to sit down, relax and indulge their palates. 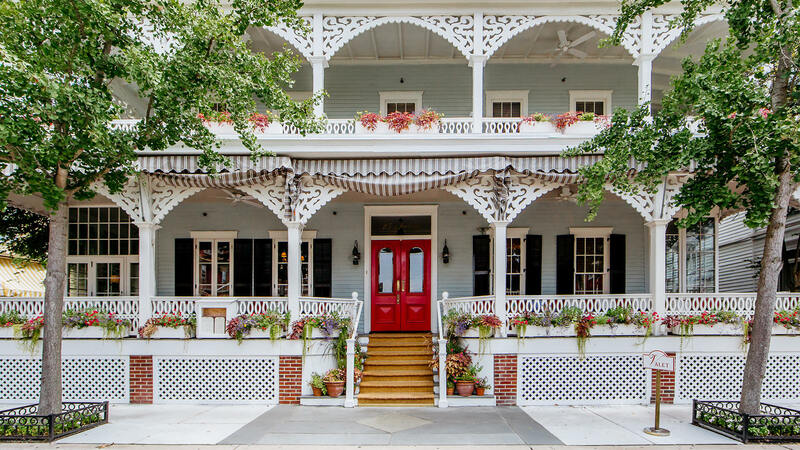 Dine outdoors and enjoy the seasons on the welcoming front porch of this Victorian beauty overlooking the charming Cape May streets. 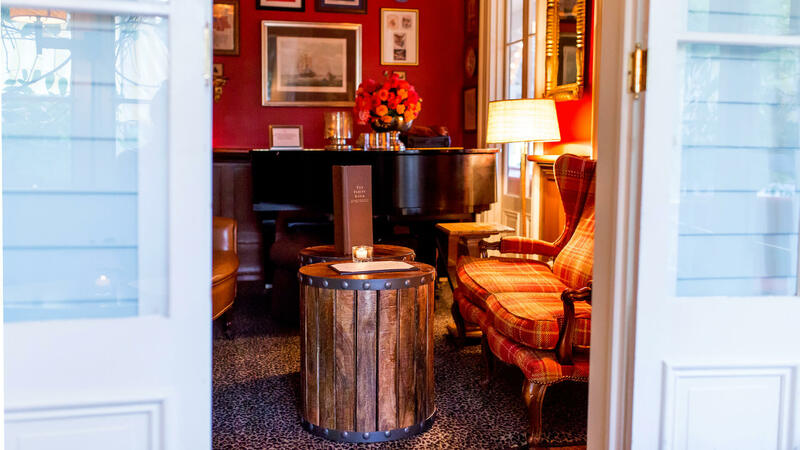 Or linger in our classically comfortable bar and lounge while listening to live piano music on weekends. Or settle in to the comfortable leather seats in our gorgeous dining room. 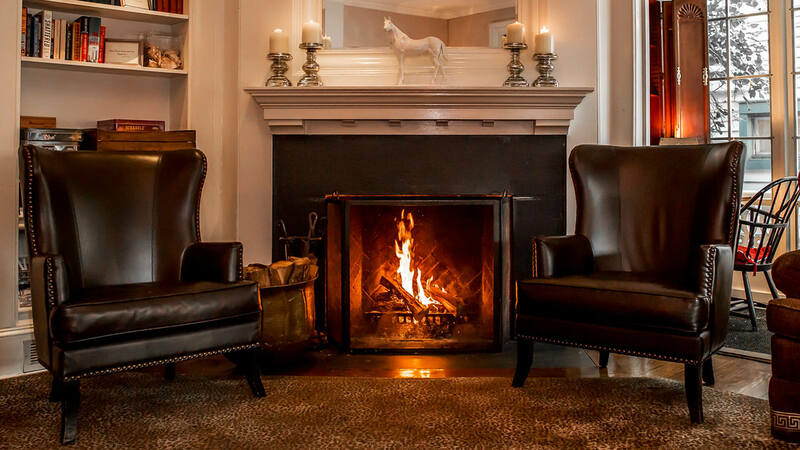 Every space in the Ebbitt Room beckons guests to relax, stay a while and indulge in some of the finest fare Cape May has to offer. 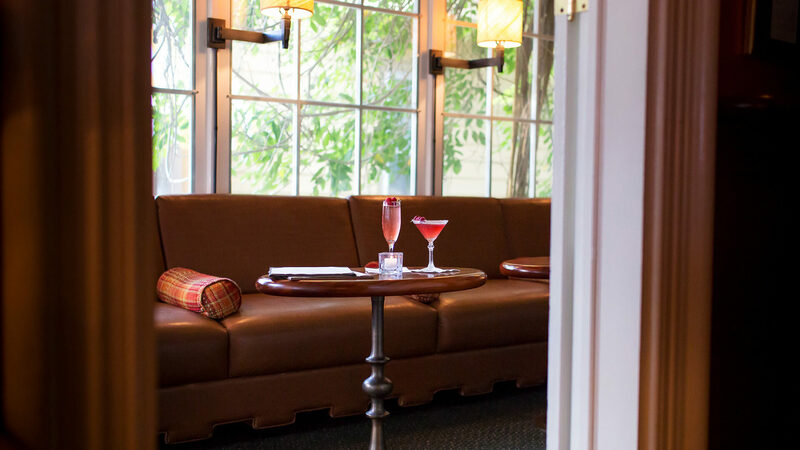 The Ebbitt Room is strongly rooted in a farm-to-table, farm-to-glass dining philosophy featuring the freshest ingredients from our very own Beach Plum Farm.